The scene at Lawson Creek Park is an eclectic collection of all things Inner Banks, both natural and cultural, all mixed together in a sprawling, waterfront location. Water lovers, nature lovers, and families of all ages will feel perfectly at home here, and will find an activity or two to keep them well entertained. 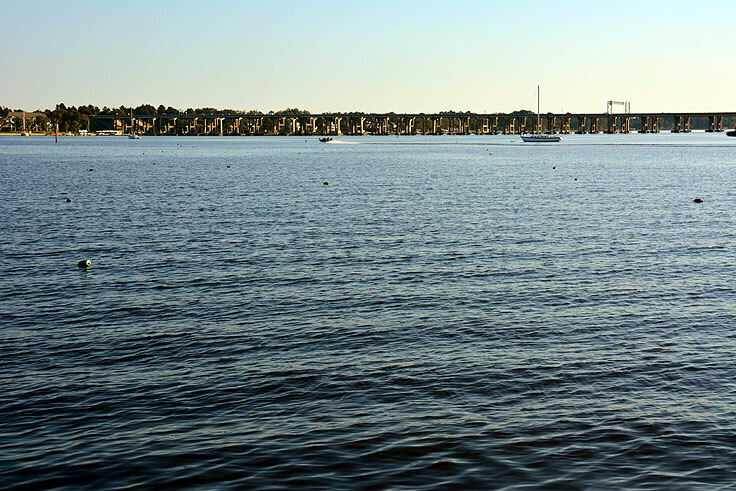 Perfect for water lovers, the park itself is surrounded by river waters in all directions, and is basically a "mini-peninsula" with small parcels of land jetting out from the edges of New Bern's downtown. As a result, there are plenty of ways to launch into the open river waters and enjoy the terrain. 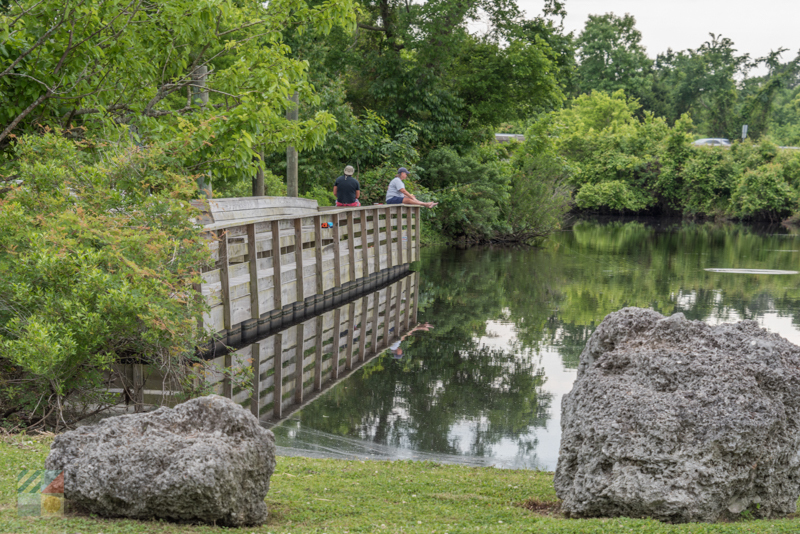 The park features two boat launches, ideal for both kayaks and skiffs, in addition to two fishing piers, including one that is handicap friendly. 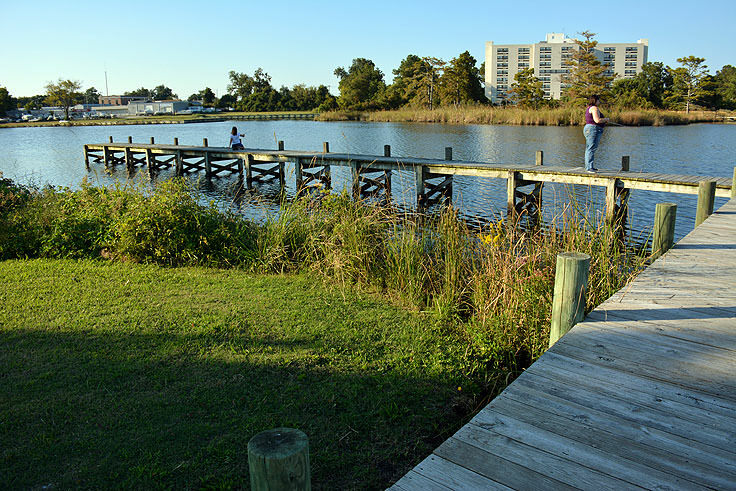 From these popular piers, fishermen can reel in small mouth bass, mullets, sunfish, sheapshead, and other freshwater / brackish water species, as well as enjoy some great hand crabbing conditions. 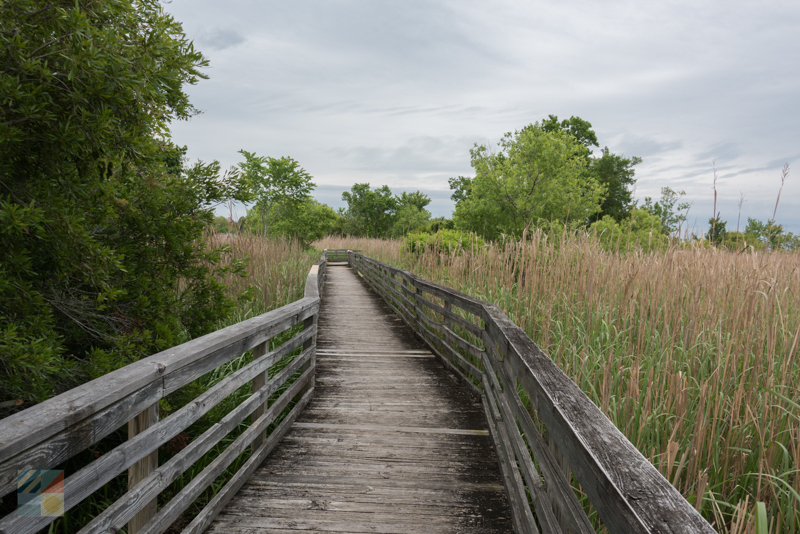 A waterfront boardwalk also runs along the perimeter, eventually leading visitors out to a nature trail through a scenic wooded area, which eventually meanders back to the main entrance. 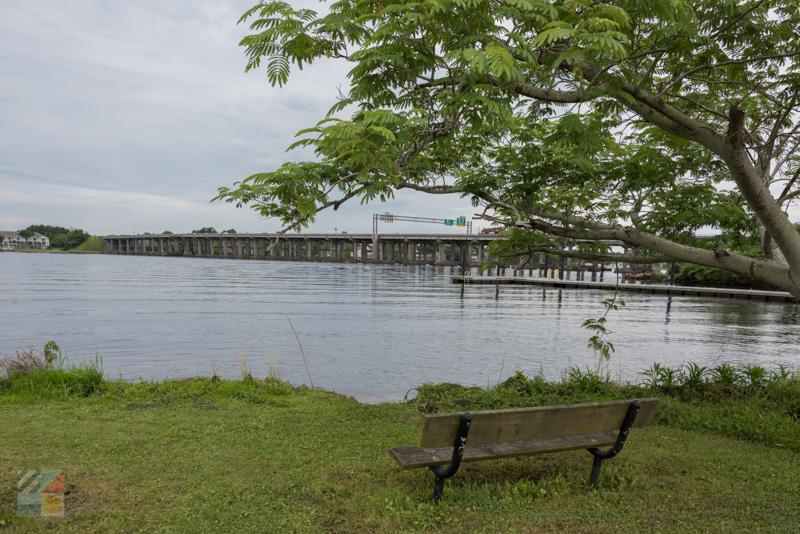 Scenic and leisurely, the waterfront boardwalk has become a favorite strolling spot for New Bern locals and longtime visitors. Nature lovers will want to take a trek to the grassy areas bordering a centrally located marshland, (which is basically the aforementioned boardwalk / nature trail which circles this undeveloped parcel of land, and presents some great bird watching opportunities), and then veer right to enjoy a more rustic nature trail along Jack's Island. The Jack's Island section of the park is a small parcel of natural terrain, bordered by the Trent River on three sides, and which features a wide variety of native species in a wild but concentrated region. Here, visitors will spot flowering and fragrant Mimosa trees, Trumpet Creeper vines, Pepper vine, Honeysuckle, and wild Hibiscus. Local species include Northern Cardinals, Red-winged Blackbirds, Mockingbirds and Ruby-throated Hummingbird, in addition to several migrating species that find a temporary residence in the fall, winter and spring months. 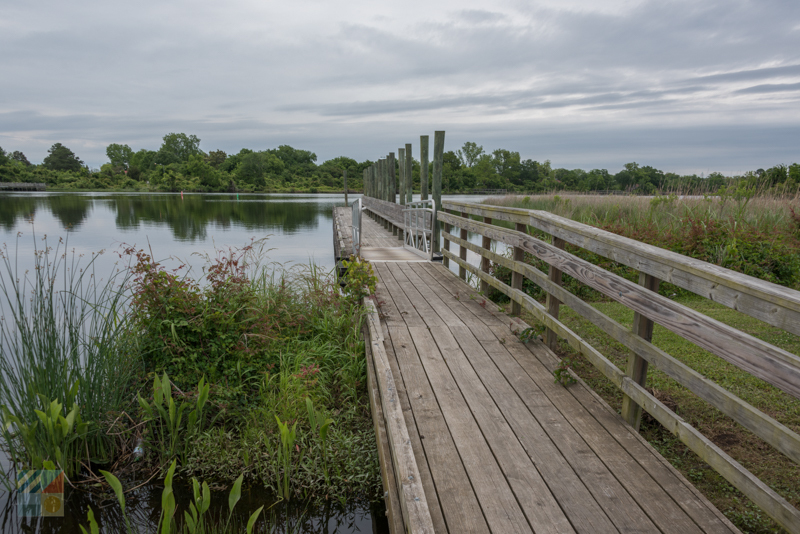 The nature trail here circles through the area, and eventually presents visitors with a fantastic view of New Bern's historic downtown across the open waters of Lawsons Creek. Of course, there are ample opportunities for visitors to enjoy the park without getting lost in the natural setting. Close to the main gate, which is guarded by a vibrant Blue Angel Grumman F-11 Tiger airplane, a relatively new attraction,visitors will find restroom facilities, two soccer fields, and two expansive covered picnic shelters which can be used for quick lunches or for larger group reservations with advanced notice and reservations. 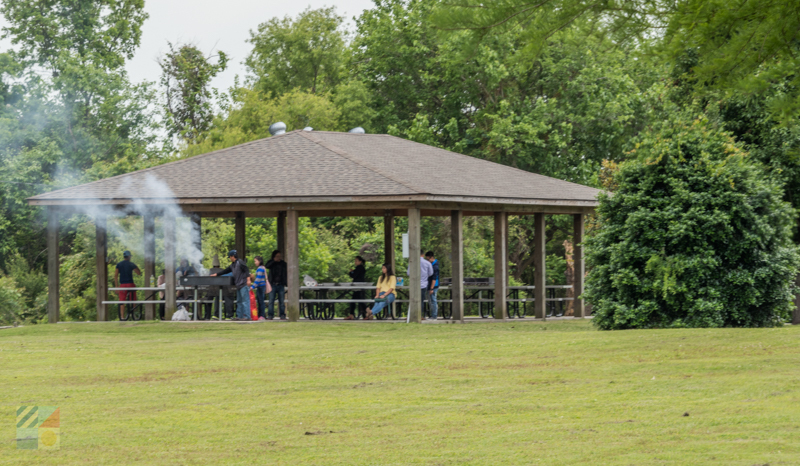 An additional picnic area is located on site, in addition to several grilling facilities throughout the park, (including a spot on Jack's Island), making afternoon or evening family barbecues a breeze. Interested parties should call the New Bern Parks Department at 252 639-2901 for more information on reserving picnic areas for group outings, or securing any region of the park for a special event. Ample parking is located close to the entrance, and there are a number of handicap friendly facilities, including the fishing pier and a portion of the extensive walking trail. Open from sunrise until sunset to the public, the park is easy to access and is located along US 70, just west of historic Tryon Palace. Nature lovers who want to dive into an extensive trail that covers the marshlands, maritime forests, and native species of the Inner Banks, in addition to fishermen and kayakers who want an easy launch to the open water, will feel right at home at the Lawson Creek Park. 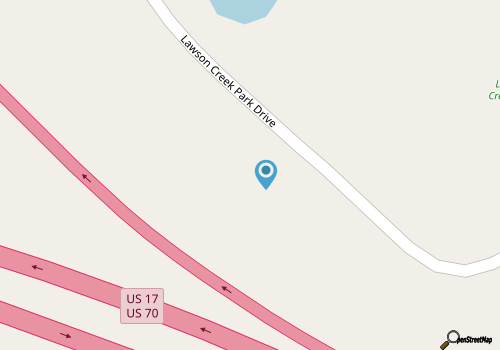 Expansive enough to constitute a nature preserve, but with plenty of amenities to keep any outdoor lover entertained, Lawson Creek Park is a fantastic New Bern local landmark that promises hours of fun and recreation in a postcard-worthy natural setting.